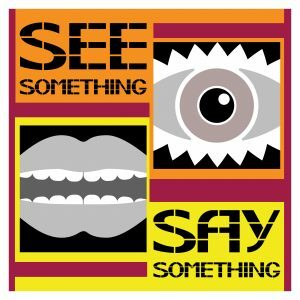 RULE #1: If you SEE something, SAY something! We all play a role in keeping our community safe. You know your home, your building, your street, your park, your parking ramp, OUR neighborhood ̶ so if you see something that isn’t right, please report it. It is better to be safe and let the 9-1-1 call taker determine if you need emergency assistance. Always err on the side of caution. A number of Chicago Police Department and city resources are available to report your public safety concerns. Below is guidance on how to make the right call. You can also read the Make The Right Call cheat sheet. 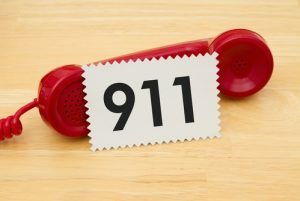 Emergency Services 9-1-1: Call 9-1-1 if there is an emergency or a crime is in-progress that requires an immediate response from police, fire, or emergency medical services (EMS). Non-Emergency Services 3-1-1: Call 3-1-1 if there is a non-emergency situation that does not involve a crime in progress, does not pose an imminent threat to life, and/or does not involve bodily injury or major property damage or loss. Some examples: filing a police report after a crime has occurred and the offender is gone, if your neighbor leaves the dog in the yard all night barking, or if you hear a car alarm or other disturbing noise in the night. City Services 3-1-1: Call 3-1-1 to report service needs such as streetlights that are out or dangerous potholes. You can also go online or sign-up for ChiText where you can also get answers about city services and check the status of previous service requests. Please read Tips-for-Calling-911-and-311 to prepare yourself and your family. TXT2TIP: The Chicago Police Department created the TXT2TIP program so that YOU can anonymously and SAFELY help rid your community of crime by sending information to the Chicago Police Department via a text message from your cellular phone. You can become eligible for a reward up to $1,00o! Learn more, including how you can also send a tip via the web, here. Find the contact information for the 18th District Near North station here. Or the 12th District Near West station here. There are a number of opportunities every month to discuss a public safety concern directly with a CAPS officer including the 18th District or 12th District BEAT Meetings and 18th District Coffee with the Commander Meet & Greet. For more information about these meetings, please see the Public Safety Meetings page. You can also fill out a Community Concerns form which will be routed directly to the 18th District CAPS office for review and action. 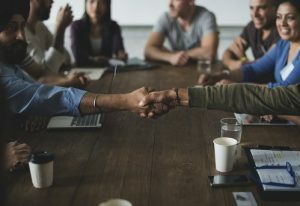 By working together, the police and community can share the development and implementation of proactive problem solving strategies to identify chronic issues. For the most up-to-date information about crime in our community, please reference the Chicago Police Department CLEARmap system which can be found here. This system holds interactive maps of crime data, registered offenders, community concerns, and Chicago Police locations. You can search by address, community area, police beat and district, or around a school or park. You can also search by a custom drawn polygon or a name. The database is updated every two weeks. This data is also shared with the public at CAPS BEAT meetings. For a tutorial on how to use CLEARmap, open this CLEARmap Brochure. For a guide to the CLEARmap icons, open this CLEARmap Icons. Throughout the year, the 18th District and 12th District CAPS offices will publish Community Crime Alerts. These are urgent notices that serve as public safety watch-outs for individuals and our community. Not sure who to call? Want to discuss a concern with the PSC or privately with a PSC representative? Please email us at publicsafety@RNRAchicago.org or plan to attend one of our Public Safety Committee meetings. For more information on PSC meetings, please see the Public Safety Meetings page.